Lok Sabha Elections are scheduled to be held in seven phases. All seven constituencies in Delhi will go to polls on May 12. The results will be declared on May 23. 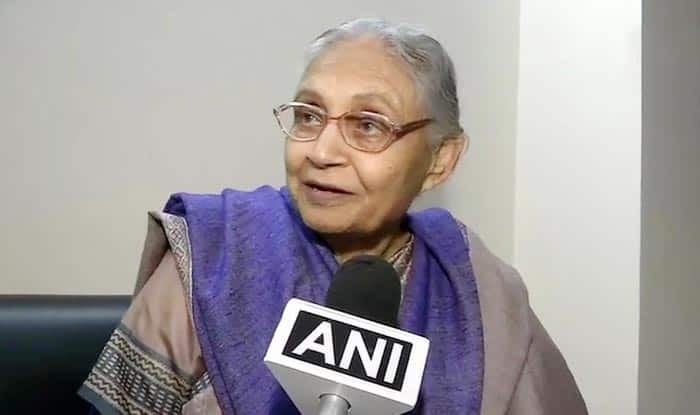 New Delhi: Delhi Congress chief Sheila Dikshit on Sunday said that the decision on possible alliance with the Aam Aadmi Party (AAP) ahead of Lok Sabha Elections 2019 will be announced by Sunday evening or on Monday. Responding to a question by reporters over the announcement of candidates names, Dikshit said, “The party (Congress) is working on it. Today is a holiday. They will make an announcement some time tomorrow.” Meanwhile, the AAP has already announced the names of candidates on all seven parliamentary constituencies in Delhi. The development approximately 12 hours after the Congress on Saturday late night held a meeting at Sheila Dikshit’s residence. The meeting which began at 10 PM and lasted for over 2 hours was attended by Delhi in-charge PC Chacko, organisation general secretary KC Venugopal, among others. On March 26, AAP chief Arvind Kejriwal had hit out at former Dikshit saying he would not have had to launch a new party if the former CM had run the government well. Earlier this month, Sheila Dikshit had announced that the Congress would not enter into a seat-sharing pact with AAP and that the decision was taken unanimously in a party meet that was helmed by Rahul Gandhi. Soon after the announcement, Arvind Kejriwal had lashed out at the Congress and claimed that they were helping the BJP and hinted at a ‘secret pact’ between the two with an anti-AAP agenda. The Lok Sabha Elections 2019 are scheduled to be conducted in seven phases. The first phase voting will be held on April 11 and for the last phase on May 19. All seven Lok Sabha constituencies in Delhi will go to polls on May 12. The counting of votes will be conducted on May 23.